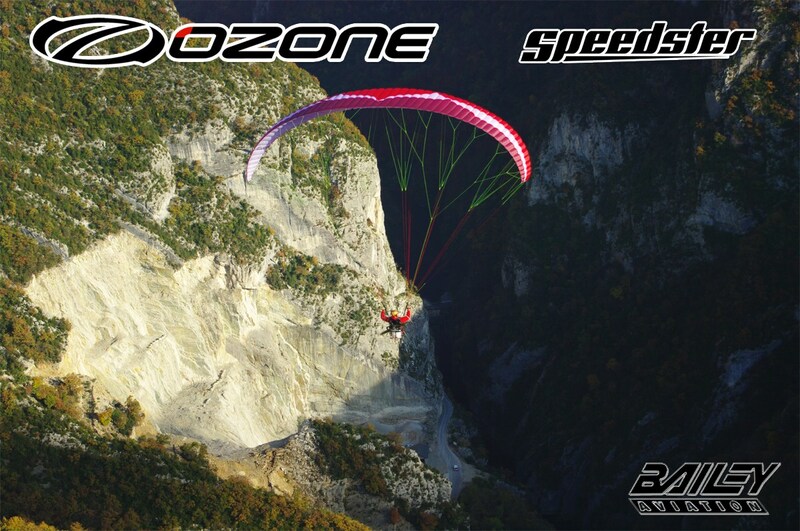 A fully enclosed tip steering system, class beating speed (60kph), renowned Ozone efficiency, and a general ease of use during launch flight and landing all make the Speedster the new standard for intermediate to advanced PPG enthusiasts. Risers feature a large trimmer range, enclosed tip steering and magnetic toggle retainers. 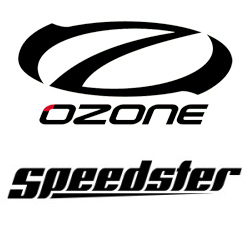 The Speedster fits between the Roadster and Viper2 in the Ozone PPG range and is available in 4 sizes:- 24, 26, 28 or 30 (see size chart below). 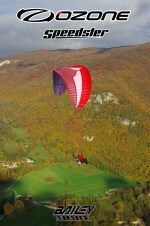 The Speedster is certified EN C in all sizes. Special order colours are available for £150 extra, with any combination of the following colours: blue, dark red, green, grey, orange, red, white or yellow. Official ordering for the Speedster has now started and Bailey Aviation will have their own Demo Speedster 26 arriving soon. 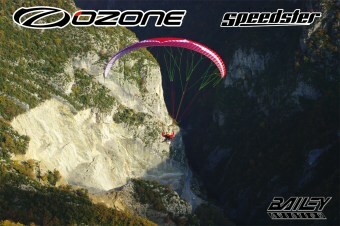 The Speedster is £2700.00 incl 20% UK VAT (all sizes) in standard colour schemes or £2850.00 for special order colours. 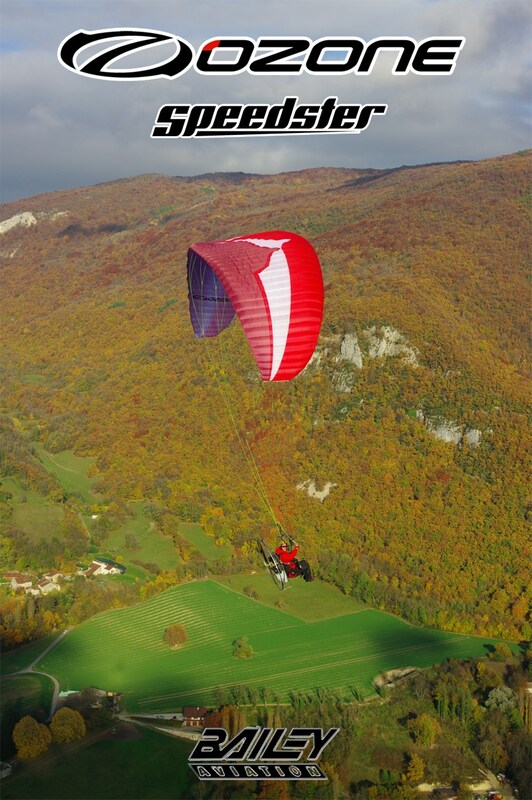 If you wish to arrange a test flight on this exciting new wing, please call one of our sales team on 01763 246660.